The story told in this exciting new exhibit is of Oregon’s successful emergence as a world leader in sustainable seafood and the very sound reasons for eating local seafood. This is the story of our fishermen, fish processors, fishery managers, scientists, conservation groups and port communities meeting the challenges and opportunities of wild harvest fisheries to feed a growing population. This exhibit explores the history of shipwrecks along the Central Oregon Coast. Shipwrecks, both as things and events, capture the imagination. The drama of a shipwreck is often used by artists and writers to symbolize life gone awry and the ability, or inability, of people to overcome tragedy. Locally, shipwrecks have changed the course of our history — lives and fortunes have been lost, the environment damaged. Despite their tragic nature, objects recovered from shipwrecks are coveted as collector’s items, or a beachcomber’s windfall. The day-to-day prevention of the loss and life of shipwrecks may not be dramatic, but it is central to maritime living. Safety at sea, wayfinding, and search and rescue are a matter of life and death for mariners. We each live in our own world, seeing the same things differently, yet more often than not manage to find common ground with others. Proof of this truism comes to light (and color) in the work of collaborating artists, Virginia Leonnig and Carol Pulvermacher. This collaborative exhibit is a canvas expression of the two artists’ appreciation of Pacific Northwest wildlife. Their styles are vastly different yet somehow, by choosing identical subject matter and working independently, they evoke a surprising confluence of color and self-expression. Catch this new exhibit in the Galley Gallery at the Maritime Museum through December. 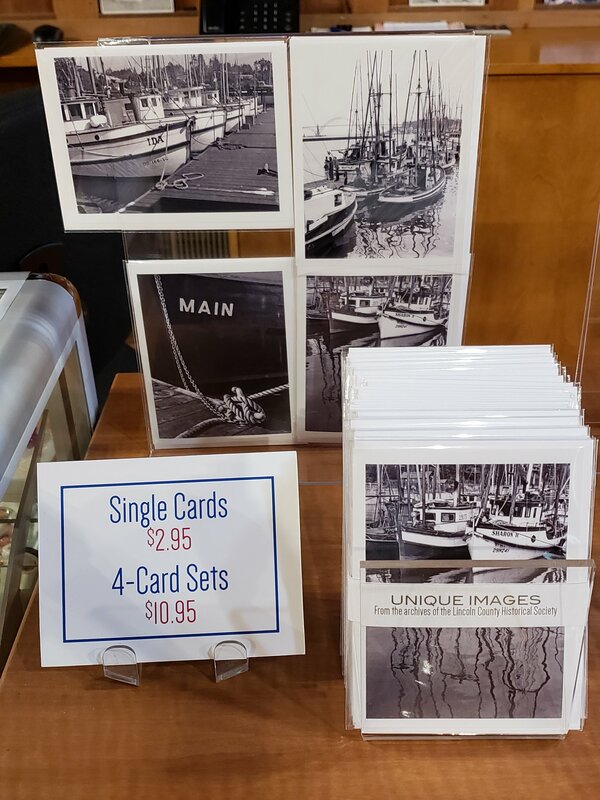 In addition to these exhibits and more, visitors to the Pacific Maritime Heritage Center can enjoy the spectacular bayfront views, and browse our gift shop and bookstore. The Maritime Center is located at 333 SE Bay Blvd on Newport’s historic bayfront. Parking is available at the top of the hill next to the building. All Historical Society buildings are wheelchair accessible. For more information call 541-265-7509.